We welcome you to Winter 2015, and to Back Bay Ringers’ concert, Songs of Good Cheer. It’s hard to believe that a new holiday season is upon us already. It seems like just yesterday we were shoveling out from under 8 feet of snow! Take a moment to look through our concert appearances listed below, or by visiting our website at www.backbayringers.org. You can also purchase tickets while there! We are also announcing a special campaign to raise funds for the refurbishment of our three-octave set of Whitechapel handbells. Help us to get these wonderful instruments in working order so we can fulfill our educational mission. We plan to begin our training choir, bringing handbells to schools, nursing homes, and the greater community. You’ll be receiving lots of information from us through our upcoming Indiegogo online campaign. We can’t do it without you! I hope this holiday season brings good cheer to you and yours. We look forward to seeing you at our concerts! Greetings from my vacation window looking out over the lake in the hills of New Hampshire! It must still be summer, because the season can’t be over until Back Bay Ringers host the annual Summer Ring! Join us on Monday, August 17 at 6:30 pm at First Church Boston for an evening of ringing, conversation and fun. Air conditioning and snacks will be provided! Griff Gall, our Artistic Director, has the music ready and waiting. Simply fill out the electronic sign up on our website and bring $5 toward the cost of shipping the music. We will see you there! Two weeks later we launch our fall season with auditions. This year’s auditions will be held Monday, August 31 at 6:30 pm at First Church Boston. Please take a look at the audition page on our website if you are curious about the audition process for the ensemble. 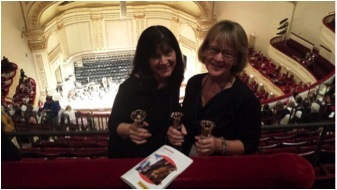 The primary focus to BBR continues to be education in the artistry of handbells. We plan to expand our ringing and learning opportunities with the refurbishment of our 3 octave set of White Chapel handbells. We’ve currently achieved half of our goal toward this project. If you’d like to donate, please be in touch with me at dmatson@backbayringers.org. Griff has been working hard on our Christmas repertoire. You can look forward to more information on that in our next newsletter. In the meantime, check our winter concert schedule on the website to save the dates in your calendar! For those of you living in the greater Boston area, you know that Mother Nature has switched gears from a record-breaking winter into summer temps and sunny skies. This can mean only one thing—the Back Bay Ringers’ concert season is here. We’ll be bringing our “Childhood Memories” to you in musical form—from Mary Poppins to the Sound of Music to good ol’ spirituals. Join us on Sunday, June 7 at 2 pm in Hanover, or Friday, June 19 at 7:30 pm in Melrose. If you are out and about in the city that latter weekend, find us on June 20 at 3:30 pm at the Boston Hubbub Festival in Copley Square, or celebrating Boston’s MakeMusic Fest with a quartet on Shawmut Street near Hanson on Sunday afternoon. 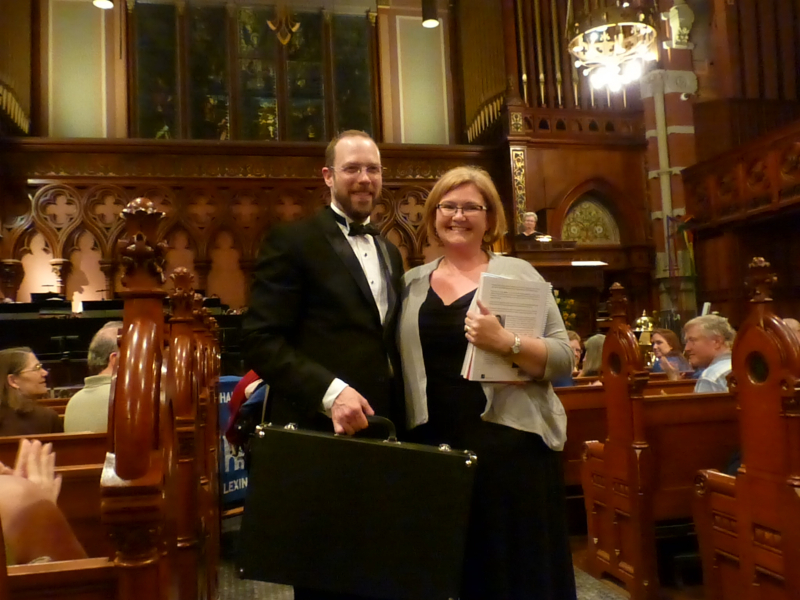 We were thrilled to see many of you at the Boston Handbell Festival a couple of weeks ago. If you missed it, check out the profile below of this year’s Choirchime recipient. Our mission includes education, and we look forward to hearing more music in our schools! It’s official – spring must have arrived in Boston because I saw a forsythia blooming – finally! But an even more sure sign of spring is the announcement of Back Bay Ringers’ spring concert season. With childhood at the center of our programming this year, we have some wonderful and varied opportunities for you! We kick off at the Cambridge Science Festival on Saturday, April 25th at 2 and 3:30 pm to present “The Science of Handbells”—a great opportunity for adults and children alike to connect the art and science of this fascinating instrument. We are appreciative of a generous grant from Cambridge Arts Council and the Massachusetts Cultural Council to make this event possible. Click here for more information. On Tuesday, May 19th we host the 9th annual Boston Handbell Festival, bringing five community choirs under the direction of our guest conductor, Ed Henderson of the New England Ringers. Thanks to the generous donations of those attending last year’s festival, we will once again be presenting a set of Choirchimes to a Boston-area school for use in their music program. You’ll be nostalgic for your youth during our spring “Childhood Memories” concerts. Join us on Sunday, June 6th at 2 pm at St. Andrew’s Episcopal Church in Hanover, MA, and on Friday, June 19th at 7:30 pm at the First Congregational Church in Melrose, where all proceeds will go toward Bread of Life. Click here for tickets. Our season ends on Saturday, June 20th at the Boston Hubbub festival, a new festival for children, where we will perform from 3:30-4 pm on Copley Square – stop by and say hello! In the spirit of our spring theme, we are looking forward to performing at a new children’s festival called Boston Hubbub on Saturday, June 20 — look for us out on Copley place, under the tent. And of course, it wouldn’t be spring without the Boston Handbell Festival, Tuesday, May 19, at Old South Church. As part of BBR’s commitment to education, we use the proceeds of a freewill donation during BHF to raise money for a set of choir chimes to be given to a local school. For music educators interested in applying to the Chime Donation program, please see our application here. You can join us for our spring “Childhood Memories” concerts on Sunday, June 7, in Hanover at St. Andrews Episcopal Church, or Friday, June 19, at the First Congregational Church in Melrose. Visit our events page on BBR’s website for details. I turned the calendar today with great anticipation — not only for all those who get to start their Advent count-down calendars — but even more for BBR’s “Christmas Memories” concert season which starts this Friday in Boston, and will include trips to Danvers, Worcester, Framingham and Waltham. We hope to see you at one (or more!!!) of those concerts. For details on locations and times please visit our web page: http://www.backbayringers.org/events/. And while you are there you can purchase one of our two CD’s, Comfort & Joy or Perpetual Motion, for that upcoming Yankee Gift Swap or teacher gift! BBR is embarking on a renewed focus of education and community outreach in the coming year, and an important piece of that work will be the refurbishment of a set of Whitechapel bells that were so generously donated to us three years ago. If you would like to be a part of that new outreach, I encourage you to visit our site and contribute to the work. Here’s wishing you a holiday season creating new Christmas Memories! And let me be the first to offer best wishes in the new year. In October 2014, Back Bay Ringers had the opportunity to record a song with Nick and Noah for their upcoming “Winter” EP. A BBR small ensemble comprised of five members set up 3 octaves of bells in the recording studio, where a piano, bass guitar, and drum set were ready and waiting. We were soon joined by a talented jazz a capella group who were brought in to sing backup vocals. Since they were also recording a video, we had to look our best, in concert dress with red and green scarves. Nick and Noah, two very talented and professional young musicians, had composed an original holiday song entitled “Bells Are Ringing” that has the potential to be a new pop hit. The song features solo handbells for the introduction, followed by bell accompaniment throughout the number. The small ensemble greatly enjoyed not only collaborating with other musicians in a way we have rarely been able to, but also sharing a little about our instrument with both Nick & Noah and the vocalists during some down time between recording the video and the sound. We’re looking forward to seeing and hearing the video for “Bells are Ringing”. Greetings of the season, although as I look around at the stores I’m not sure whether to say Happy Halloween, Happy Thanksgiving, or Happy Holidays!!!! All three seem to have converged on the store shelves! But I can assure you that the Back Bay Ringers’ upcoming winter concert season will put you in the Christmas spirit. We’ve entitled our performance “Christmas Memories,” and we’ll be sharing some old favorites, some new compositions, as well as snippets of memories that these songs evoke for our ringers — inviting you on a trip down memory lane as well. Consider taking a moment to escape from the hustle and bustle, and simply celebrate the joy of the season. Our full ensemble will be playing in Boston, Danvers, Waltham, Worcester and Framingham in December. Please visit our events page where you will find a list of our five concert dates and locations, as well as a link for tickets and directions. You may also see our small ensembles at festive events in the area. We’re looking forward to seeing you soon! Welcome to our second decade! Our celebratory year of 2013-14 brought us our third CD release, our 10th Anniversary celebratory concert, a recording aired on CBS’ “48 Hours” and of course our annual donation of handchimes to a local Boston elementary school through the generosity of the attendees of the Boston Handbell Festival. We finished off the year with the inaugural performance of our commissioned piece, “Sonata in Baroque Style” by Michael Helman, and enjoyed Michael’s presentation at a BBR-sponsored community handbell workshop that same weekend. Finally, we toasted Norah Piehl who has stepped away from the administrative leadership of BBR after 8 fabulous years of dedicated service! Thank you, Norah. As I step into fill those very large shoes, I am energized by the history of this wonderful organization, by the incredible musicians, donors and guests that I am working with, and by the forward-looking goals of the group into the next decade. I invite you to walk the journey with us — join us in the summer ring, come to auditions, attend our concerts, buy a CD. But mostly keep this wonderful form of music alive and well! en masse (this year under the baton of the Raleigh Ringers’ Dave Harris). The BHF is always full of exhilarating performances and a few surprises . . . and it all goes to support a great cause: music making in our schools. Founding and co-sponsoring the annual Boston Handbell Festival has been one of the achievements of our first ten years of which we’re most proud. This spring, we’re celebrating what we’ve accomplished in our first decade–and looking ahead to what comes next–with tenth-anniversary concerts in Salem and West Barnstable. Joining us for the Salem “Reflections” concert will be composer Michael Helman, whose “Sonata in Baroque Style” will be receiving its world premiere that evening. Michael will also be leading a day-long workshop for handbell musicians, also at Salem State University. You don’t want to miss this opportunity to learn from this renowned composer, arranger, and clinician–read on for how to register (and here’s an inside tip–discounted advance registration closes on May 15)! We look forward to seeing you at the BHF and at other BBR events this spring! Stay busy this summer with BBR! 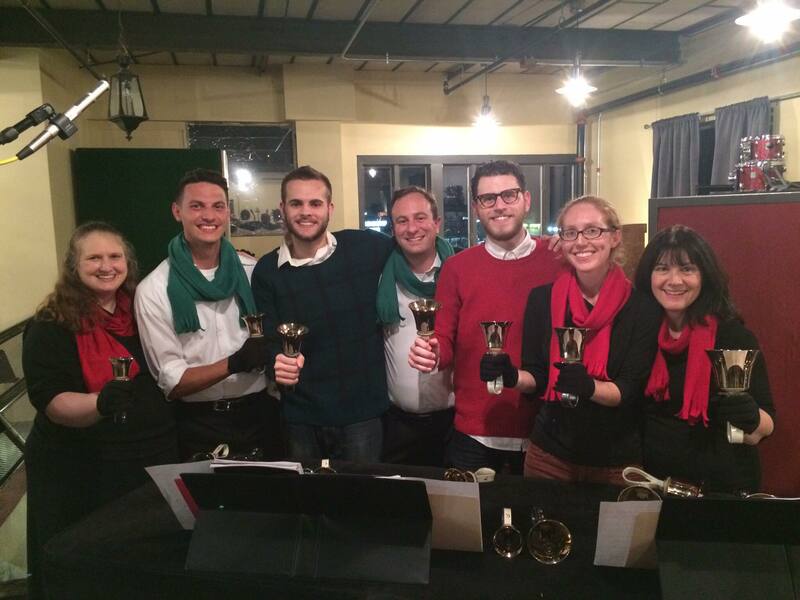 "Promoting excellence in handbell artistry through performance, education, and community."